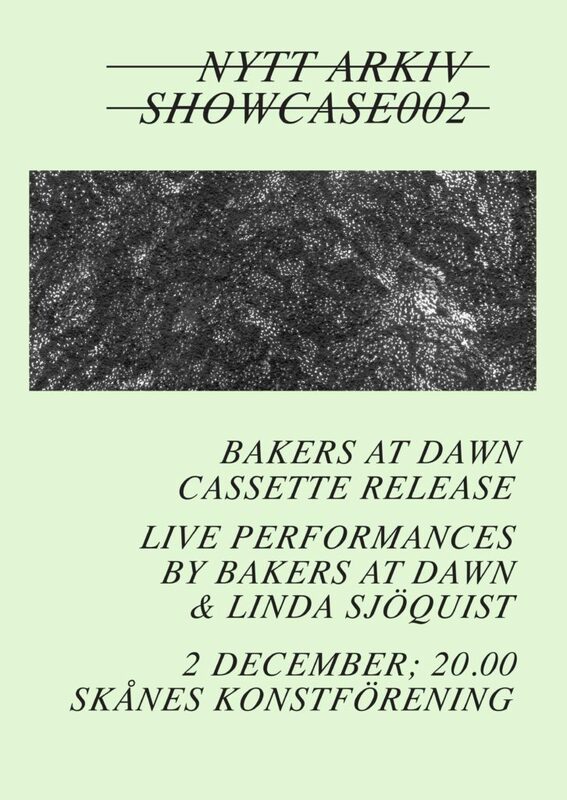 Release party for the new bakers at dawn cassette, third release from experimental record label Nytt Arkiv. Release show for the new 14 track cassette, recorded by Marcus Sjöland of bakers at dawn and released on Nytt Arkiv label. We are very pleased to present to you this li- mited edition cassette consisting of wry pop songs and acoustic guitar, suited in lo-fi production; static and warmth. Marcus songwriting presents itself as immediate and genuine, but the tracks themselves may as well be archetypes on how to write a per- fect song. Tonights DJ is Josef Bergmark from Valvet/Sync Separator.